Rodgers around 1927-’28, pictured in the Victor catalog. In early August 1927, Ralph Peer was continuing his recording sessions for Victor in Bristol, Tennessee, when he received a telephone call from a radio performer in Asheville, North Carolina, who had read of this opportunity in the newspaper, and was interested in recording with his string band. Peer arranged for this man to meet for an audition. Somewhere along the line, he had a disagreement with his band, and they parted ways before the audition. Nevertheless, he auditioned before Peer, who saw a huge potential for success. 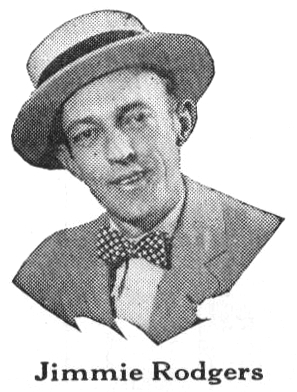 On August 4, 1927, Jimmie Rodgers made his first recordings for the Victor Talking Machine Company, only two sides. The first was his own composition, “The Soldier’s Sweetheart”, the second was the old yodel song, “Sleep, Baby, Sleep”. The record was a hit, and Rodgers recorded with Victor again only a few months later, making the first of his famous Blue Yodels. Over the course of the following six years, he became one of Victor top artists, one of the best-selling record artists of the Great Depression, and earned the moniker of the Father of Country Music. Victor 20864 was recorded between 2:00 and 4:20 P.M. on August 4, 1927 in Bristol, Tennessee, the only two sides cut in Jimmie Rodgers Bristol session, and his first ever recordings. It was released in October of 1927. Jimmie’s second song at the session, but issued as the “A” side of his debut disc was his haunting rendition of John J. Handley’s old time yodel song, “Sleep Baby Sleep”. 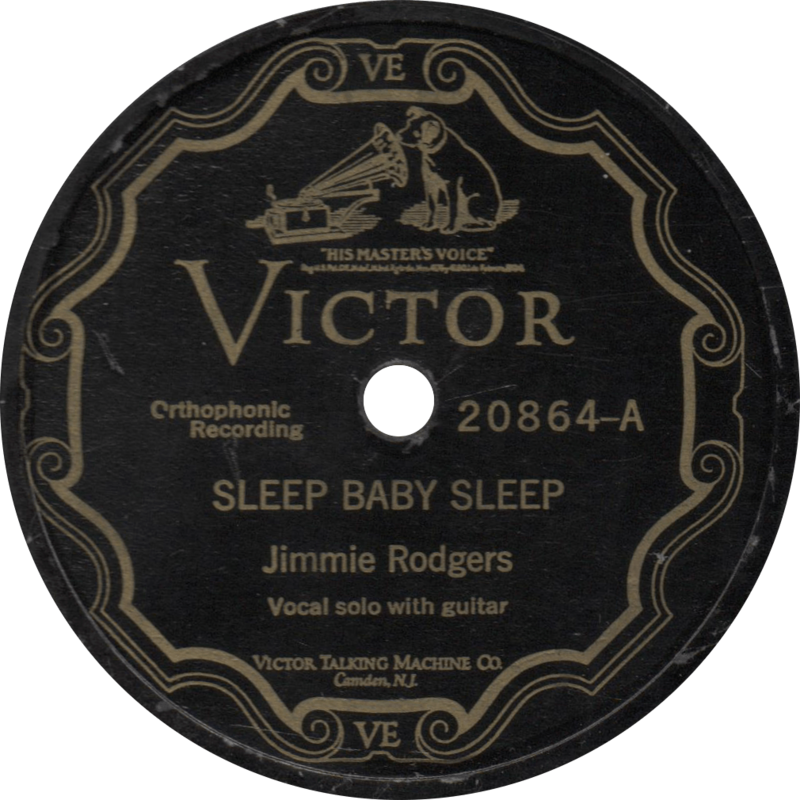 Sleep Baby Sleep, recorded August 4, 1927 by Jimmie Rodgers. Issued as the “B” side, Rodgers own composition “The Soldier’s Sweetheart” marked the first time that the voice of America’s Blue Yodeler was ever preserved in shellac. 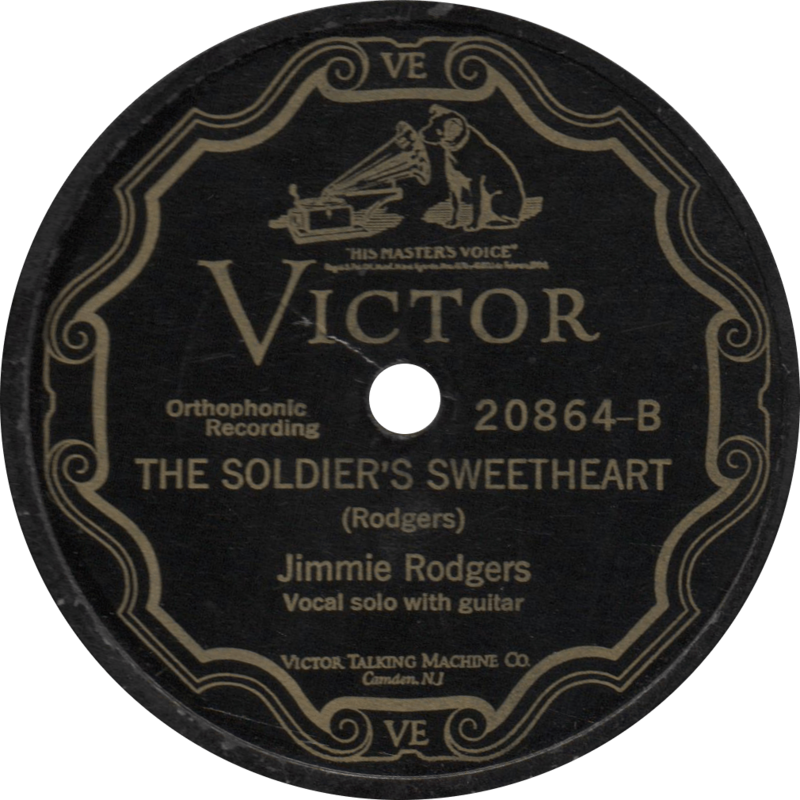 The Soldier’s Sweetheart, recorded August 4, 1927 by Jimmie Rodgers. This entry was posted in Records and tagged 1920s, 1927, Bristol, Folk, Hillbilly, Jimmie Rodgers, Ralph Peer, Singing with Guitar, Victor by R. Connor Montgomery. Bookmark the permalink.